Simple stockinette stitch, knit in the round. 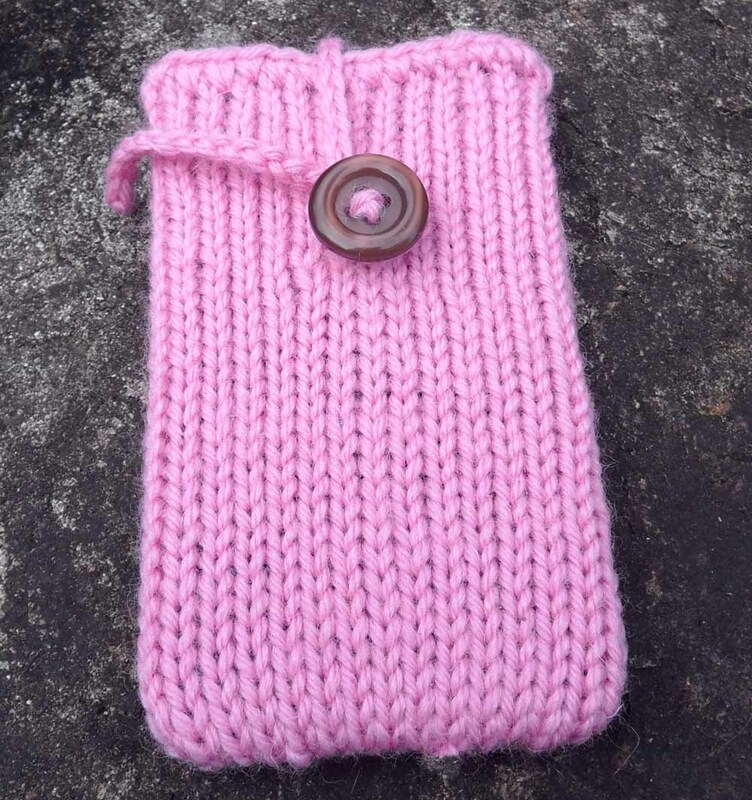 Cast on 29 stitches and knit in the round until piece measures 11½cm. Cast off using three needle bind off. Starting at the centre, crochet one round of single crochet around the top, and instead of ending, join with a slip stitch, and crochet a chain long enough to wrap around button. 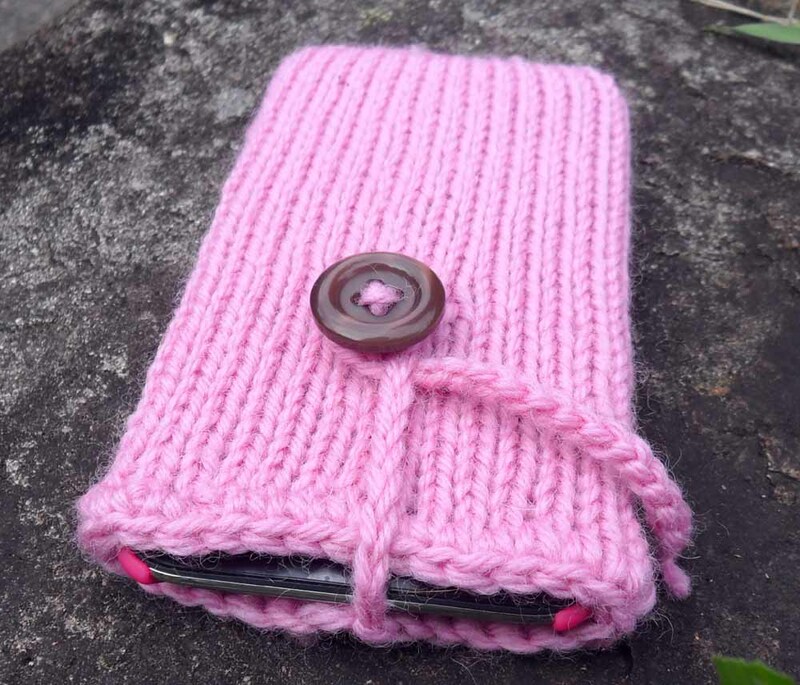 Have had a lovely wander through your blog and admired your knitted and crocheted items. Enjoy your week and nice to 'meet' you.